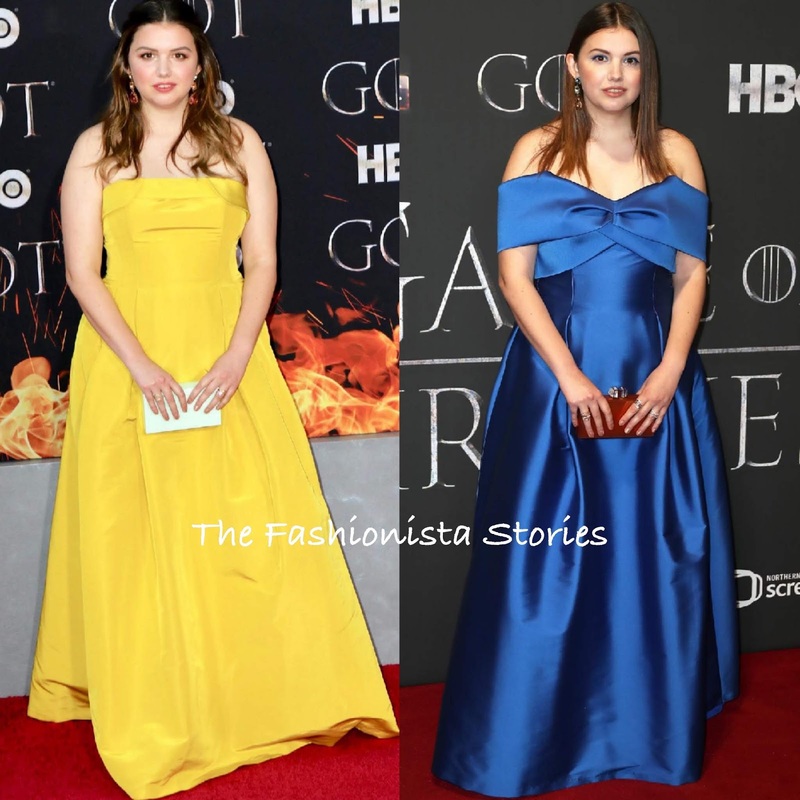 Hannah Murray joined her 'Game of Thornes' co-stars in New York on Wednesday April 3rd and in Belfast, England this evening(April 12th) for the TV shows final season premieres. On both occasions, she wore custom SACHI & BABI gowns. For the New York premiere, she was a standout in a vibrant yellow strapless gown which was accessorized with NEIL LANE jewelry, a JUDITH LEIBER clutch and STUART WEITZMAN sandals. The dress looks a little tight on the bust and her pose is stiff but she still looks pretty. For the Belfast premiere, she wore another standout color gown, which is inspired by the RESORT 2019 collection. Her off-the-shoulder electric blue, double bow gown was accessorized with ROXANNE ASSOULIN jewelry and another JUDITH LEIBER clutch. Love both colors here but I prefer the design of the second dress. Which one of Hannah's Sachin & Babi gowns do you prefer?